i’ve consumed lunches, cocktails and one too many godiva chocolates in the name of the holidays this year, but aside from the big feast with the family, my most memorable eats of the holidays are the homemade treats i receive. i think i remember them more than i remember some store-bought gifts i’ve gotten. there’s something special about this time of year, where more than any other time, people descend on their ovens en masse to bake all manner of christmas cookie, cake and truffle. 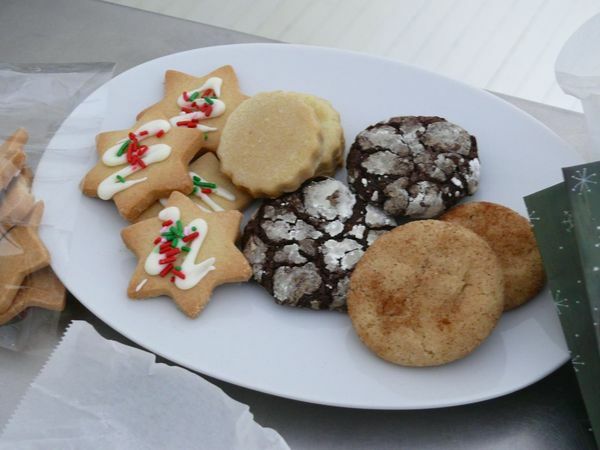 our kind neighbours a few doors down hand-delivered the snickerdoodles, espresso snowcaps and tangerine meltaways you see below, and the shortbread stars are from a thoughtful co-worker. a publisher once gave me a jar of mango chutney she’d made a batch of and even my mother, who hardly ever bakes, made a spice cake with my aunt to send to james’ family as a gift. 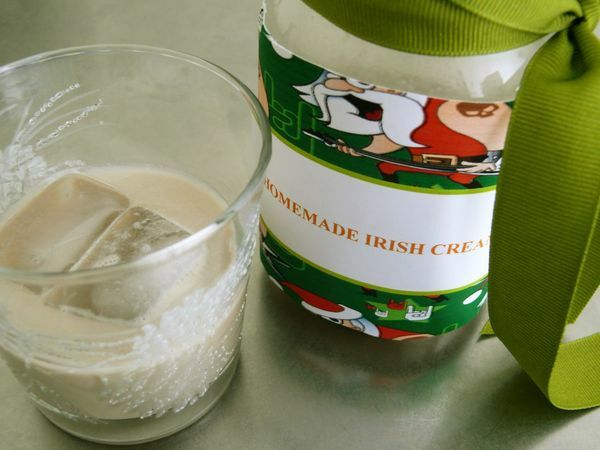 the one gift i’m saving for just the right moment to indulge in over the holidays is my friend julia’s homemade irish cream. it is special in a glass: rich, so delicious you want to take tiny sips to make it last longer, and spiked to perfection! which is to say, it’s pretty spiked. and all dressed up in the cutest bad santa label and pretty ribbon. she did hand the jar to me. i hope james doesn’t think this gift is for us… i’m sure his is on the way.